There are a growing number of absolutely fabulous flight simulator programs available on the market today that seek to emulate the truly marvelous Boeing 700 series of airliners. There are, however, few documents dedicated to helping the flight simmer bridge that gap between actual airline operations and the operation of the airplane in the virtual world. 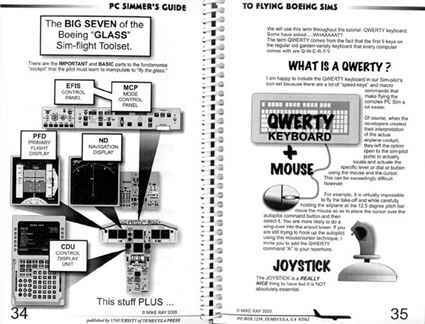 It is a big problem when you eagerly unwrap or download the latest whiz-bang Boeing airliner program and stare at the absolutely gorgeous cockpit depiction; each of the meticulously modeled switches and dials stare back at you waiting for you to... do something... and you dont know what to do. 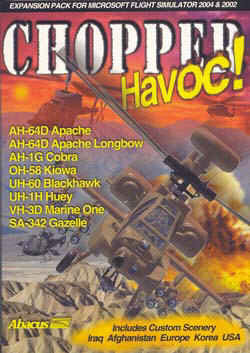 So here is the book that will help you to KNOW just what to do to make your flight simulator fly like a real airplane. Captain Mike Ray will assist you making your flight simming experience rewarding and quite simply ...FUN! Captain Mike Ray has created something uniquely suited for the PC simmer that makes the transition from reality to simulation simple and fun. His new book: "Flying the Boeing 700 Series Flight Simulators" is a MUST HAVE for both the beginning as well as the expert simmer. Priced to meet the needs of the most frugal shopper, the manual is written in his witty, graphical style that is concise yet highly readable and entertaining. There is simply nothing else out there like it. If you can answer yes to any (or all) of the following questions, then this book should be on your shopping list! Are you new to flying heavy jets? Are you new to flying Beoing 700 series aircraft? Do you get confused by any or all of the instruments on the jet panel? Are you having trouble understanding the Flight Management Computer (FMC)? 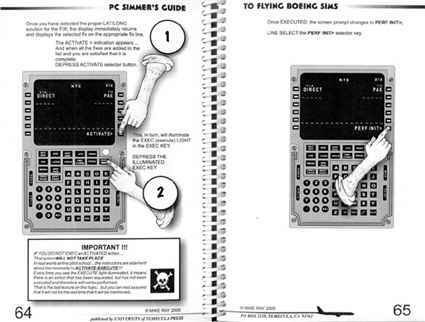 Do you have trouble programming the FMC? 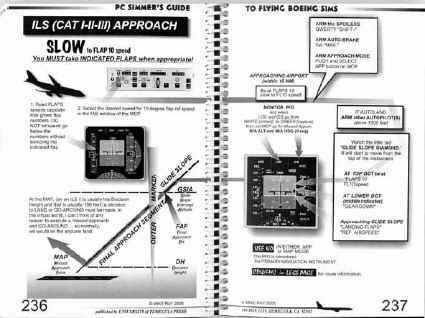 Do you find conventional flight manuals difficult to understand, or find difficult to grasp the concepts they are teaching? Do you want to learn all about heavy jets, how to fly them properly, and discover what how the major aircraft systems work and operate? 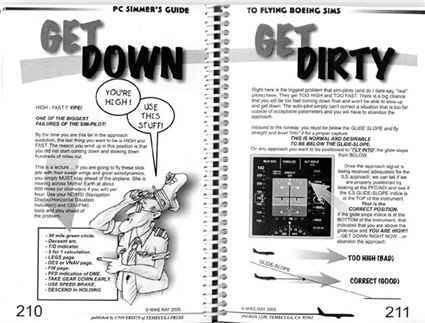 Do you want the best book currently available for learning to fly the virtual Boeing aircraft that is written with Flight Simulation in mind? Do you own any Boeing aircraft add-ons (like the PMDG 737, 747, or Level-D 767 etc)? 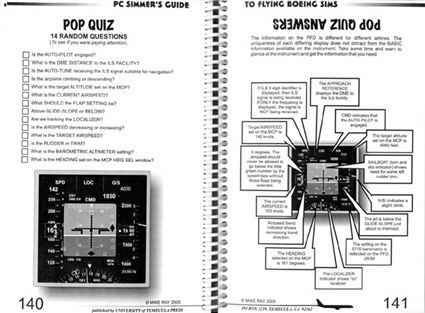 If you answered "Yes" to any of the above questions, Mike's book will help clear the air and deliver practical instruction and description on flying your virtual aircraft. 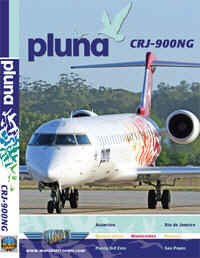 We highly recomend this book and consider it an essential complementary text for all virtual Boeing jet aviators! Note: This downloadable eBook cannot be printed. The print function is disabled. It is for onscreen viewing only. E-Book is in Adobe PDF format for viewing on any PC, iPad, iPhone, iPod Touch or Android system, Android phone, or Android Tablet with a PDF Viewer application loaded.